And a whole lot more. Queens real estate attorney Ryan Walsh, Esq. has practiced real estate law in the NYC for many years. Over this period, he has seen through a number of different transactions & closings, from helping families become first-time homeowners, to resolving a landlord-tenant dispute and much more. 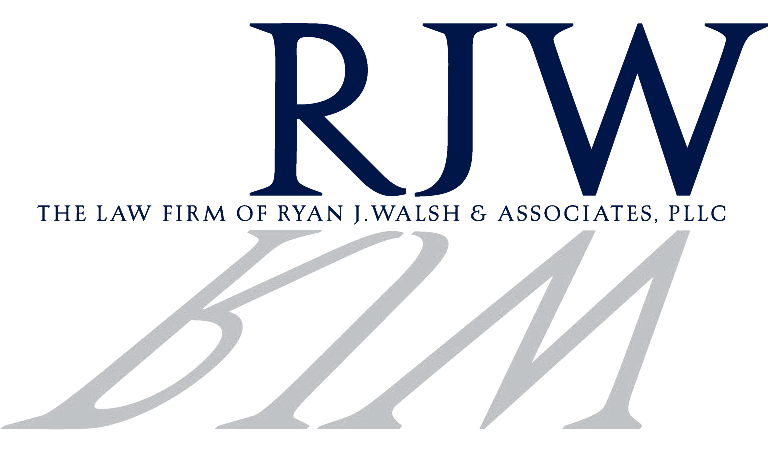 While many individuals make the mistake of simply hiring a broker or agent, Queens real estate attorney Ryan Walsh has proved himself to be an integral part of a number of different transactions, as hiccups during the process often require legal intervention. Before you make a similar mistake, here are a few important reasons why you need the services of a qualified real estate lawyer. · Drafting and reviewing of sales contracts or lease agreements. Having a strong real estate lawyer is vital to any transfer of property or rental scenario, whether it involves a transfer of ownership or landlord-tenant dispute. With years of experience, Queens real estate attorney, Ryan Walsh, and his team can help you to look over your purchase contract – ensuring that your best interests are taken into account and the terms and conditions of the purchase or lease agreement are in your benefit. A strong legal mind can also ensure you are protected from any legal liabilities as well as review disclosure forms, outlining certain aspects like the condition of the home, if there are any liens on the property, any contingencies that should be added to the agreement, and issues with the title. Also Mr. Walsh can prevent you from making certain mistakes, and the legal implications behind those actions. · A non-bias party to help with medications and negotiations. During the real estate process, there are countless legal issues that can arise and, in some instances, even cause deals to completely fall apart. Having a strong real estate lawyer like Queens real estate attorney, Ryan Walsh, can help you to not only tackle these issues but avoid them from happening in the first place. One of the main benefits of an attorney is that they are fairly unbiased when it comes to a specific property. Often, brokers and agents are tied to a property (and their clients), and it is in their best interests financially (through commissions), for you to complete the transaction. Considering this, they will likely do everything they can to ensure you purchase the property, even if there are major issues surrounding it or it isn’t the best fit for your specific needs. Whereas a real estate lawyer will guide you towards properties that are not only a better fit for you but have fewer issues that need to be remedied. · Advise you on issues surrounding the Deed & Titles. Depending on the property and the specifics of the deal, there are a few different types of deeds. One is known as a Quitclaim Deed, which outlines that the owner of the property is transferring their interests to the grantee – without the promise of a title. This essentially means the grantee has no warranty of the property title to come – in some situations, this can even mean they have no actual interest in the property at the time of the transfer, and the title is free and clear. These deeds are often used between family members, or close associates, as there must be a level of trust to accept it. Having a real estate lawyer review this type of deed is especially important as it can cause major issues with your receipt of the title and the transfer of ownership of the property. In addition, it can be extremely complicated, and even the most experienced brokers may not be fully aware of how it works at all. The more common Warranty Deed, however, outlines a clearer transfer of ownership and actually entails the transfer of a title. To avoid the confusion with these types of deeds, Queens real estate attorney, Ryan Walsh can help a great deal. Buying or selling a home isn’t as easy as it may seem. It is a valuable asset, with countless tiny contingencies and loopholes one must take into account, and without the help of an experienced real estate attorney, you may make a costly mistake and cost yourself both time, money, and peace of mind. For further assistance, contact Ryan J. Walsh & Associates today.